The U.S. Federal Aviation Administration (FAA) has proposed a $1.1 million civil penalty against a firm that it alleges violated requirements for shipping lithium batteries — the largest penalty ever proposed for alleged mishandling of lithium batteries. The FAA says that Braille Battery of Sarasota, Florida, violated hazardous materials regulations on June 1, 2016, when it offered four shipments to FedEx — each one containing a 24-volt lithium ion battery. 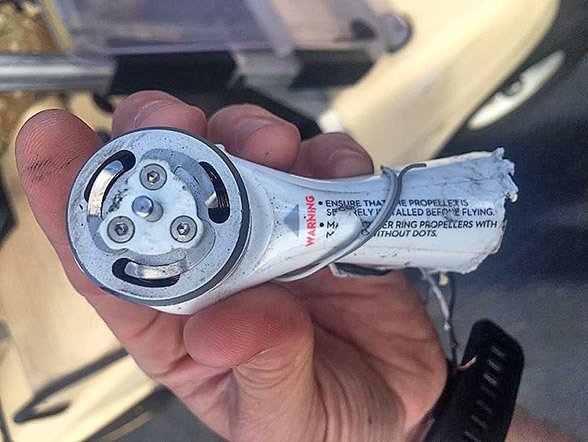 “One of the batteries apparently caught fire while it was being transported on a FedEx truck, after it had been transported on an aircraft,” the FAA said, adding that the truck was destroyed. In a December announcement, the FAA said that the batteries “did not meet testing standards, … were not equipped with a means of preventing dangerous reverse current flow and were not in a proper condition for shipment.” Braille also failed to provide required hazardous materials training for its employees, the FAA said. The agency said that on June 8, 2016, it had told Braille about its concerns with employee training and about the prohibition against shipping lithium ion batteries that have not been proved to comply with testing standards. “However, Braille continued to offer shipments of these lithium ion batteries for air transportation on 14 separate occasions between July 14, 2016, and August 3, 2016,” the FAA said. The shipments contained a total of 77 batteries. The FAA said it previously assessed an $8,000 civil penalty against Braille in 2013 for shipping undeclared lithium ion batteries. The original report — issued in 2012 — said that the flight crew’s preflight and en route planning was incomplete and that their late assessment of landing conditions left them a choice of making another approach at night in deteriorating weather conditions or ditching before fuel was depleted. Criticism of those conclusions prompted a request for a review by the Transportation Safety Board of Canada (TSB) of ATSB procedures. 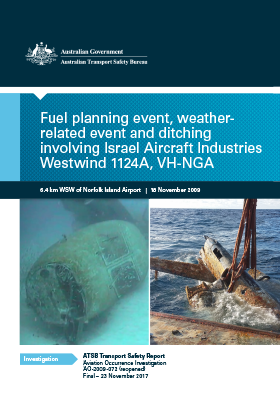 In 2015, the TSB’s review identified problems, including poor data collection, that hindered the ATSB’s analysis of several safety issues, among them crew fatigue, fuel management, and company and regulatory oversight. The document also said the captain’s preflight planning “did not include many of the elements needed to reduce the risk of a long-distance flight to a remote island,” including his decision to leave Apia without the maximum fuel load. Neither the operator nor the regulator had specific fuel planning requirements for passenger flights to remote islands, the report said. The emergency medical services flight from Apia, Samoa, was headed to Norfolk Island — a self-governing Australian territory in the Pacific Ocean — for refueling. Low clouds obscured the runway, and after several missed approaches, the crew ditched the airplane. All six occupants were rescued by boat; two suffered serious injuries. After the accident, CASA modified requirements, including fuel requirements, for operations to remote islands and strengthened its surveillance processes, the report said. The operator of a drone that collided with a U.S. Army Sikorsky UH-60M Black Hawk lacked adequate knowledge of safe operating practices and was intentionally flying the unmanned aircraft outside of visual range, the U.S. National Transportation Safety Board (NTSB) says. The helicopter received minor damage and was landed safety after the collision, which destroyed the DJI Phantom 4 small unmanned aircraft system (sUAS), the NTSB said. The NTSB report, released in December, said that the drone operator, who was flying recreationally and did not hold a remote pilot certificate issued by the U.S. Federal Aviation Administration, was unaware of the collision until he was contacted by an NTSB investigator. He also was unaware that temporary flight restrictions had been in place at the time of the collision. Flight logs showed that earlier in the evening, he had flown the drone above the 400-ft limit and at distances “unlikely to be within visual line of sight,” the report said. The International Civil Aviation Organization (ICAO) and the U.K. Civil Aviation Authority (CAA) have signed an agreement strengthening their partnership in providing aviation safety and security training in countries needing technical support. 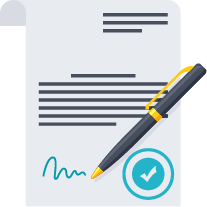 The agreement calls for cooperation between the two organizations in identifying countries that need specific training courses to overcome oversight deficiencies related to safety or security issues. 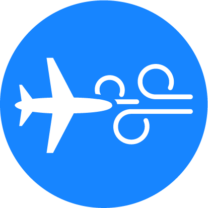 In an attempt to limit injuries stemming from in-flight turbulence, the International Air Transport Association (IATA) says it is developing a worldwide database of real-time turbulence information that can be shared among pilots, flight dispatchers and meteorologists. Gilberto Lopez Meyer, IATA senior vice president, safety and flight operations, said in a December announcement that the plan calls for information sharing to begin in 2019 using a framework that will allow participation by multiple airlines and other industry stakeholders. He noted that turbulence is the primary cause of in-flight injuries to passengers and crewmembers, and said an airline with 100 aircraft likely would experience between 30 and 50 turbulence events a year that resulted in injuries. Venezuela’s Avior Airlines has been added to the European Union (EU) Air Safety List of 178 airlines banned from operating in the EU because of poor oversight by civil aviation authorities or airline-specific safety concerns. The list, revised in November, removed two other airlines — Mustique Airways of St. Vincent and the Grenadines and Urga of Ukraine — because of safety improvements. The revised list included172 airlines that have been certified in 16 countries — Afghanistan, Angola (except for one airline operating under restrictions), Republic of the Congo, Democratic Republic of the Congo, Djibouti, Equatorial Guinea, Eritrea, Gabon (except for two airlines operating under restrictions), Indonesia (except for seven airlines operating under restrictions), the Kyrgyz Republic, Liberia, Libya, Nepal, São Tomé and Príncipe, Sierra Leone, and Sudan. 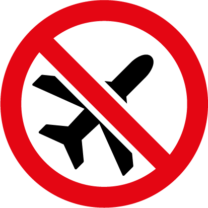 Besides Avior, the individual banned airlines are Iran Aseman Airlines; Iraqi Airways; Blue Wing Airlines, certified in Suriname; Med-View Airlines, certified in Nigeria; and Air Zimbabwe. The six airlines subject to operating restrictions are Afrijet and Nouvelle Air Affaires SN2AG, both of Gabon; Air Koryo of North Korea; Air Service Comores of the Comoros; Iran Air and TAAG Angola Airlines. Aviation safety pioneer Gloria Heath, a founding member of Flight Safety Foundation, has died at age 95. Ms. Heath, who died in December at her home in Connecticut, was an original employee of Flight Safety Foundation, working with FSF founder Jerome Lederer. Among other tasks, she was the project manager of the first formal course in aircraft accident investigation, conducted by the Foundation in 1948. Earlier, she was a pilot with the Women Airforce Service Pilots (WASP), a civilian organization under the direction of the U.S. Army, during World War II, flying B-26 bombers that were used for target practice. After leaving her position at the Foundation, Ms. Heath remained a member and served for many years on the FSF Board of Governors. She also was the director of summer aviation programs at Connecticut College, an assistant director at the Cornell-Guggenheim Aviation Safety Center and a founder of the search and rescue consulting firm SAR-ASSIST. In 2010, she was awarded the Congressional Gold Medal for her service in World War II. She was listed by Women in Aviation International as one of the 100 most influential women in aviation, and she was a recipient of the Foundation’s Laura Taber Barbour Air Safety Award, which recognizes notable achievements in aviation safety. The International Civil Aviation Organization and its runway safety partner organizations have approved the Global Runway Safety Action Plan, designed to coordinate runway safety activities of countries, airports, airlines, air navigation service providers and manufacturers. … The European Union (EU) and its member states have signed an agreement with several non-EU states to create the European Common Aviation Area, with common rules regarding safety, security, air traffic management and other areas. The goal is to “effectively integrate the Western Balkan partners … in the EU internal aviation market,” the EU said. The Western Balkan partners are Albania, Bosnia and Herzegovina, Macedonia, Serbia, Montenegro and the U.N. Interim Administration Mission in Kosovo. Compiled and edited by Linda Werfelman. ICAO Dangerous Goods Panel rejects proposals restricting large PEDs to carry-on bags.